Who you callin’ a dull green behemoth?!!! Seriously, the wild rhodies along the Tubal Cain trail are gorgeous in June. We love to hike up there and see them when they are in bloom and the higher you go up the trail, the further back in the season you get. Actually, Scott, I was referring to those giant garden rhodies from China and Korea that do their spectacular bloom for 2 weeks and then just make a large dark green leaf display for the other 50 weeks. 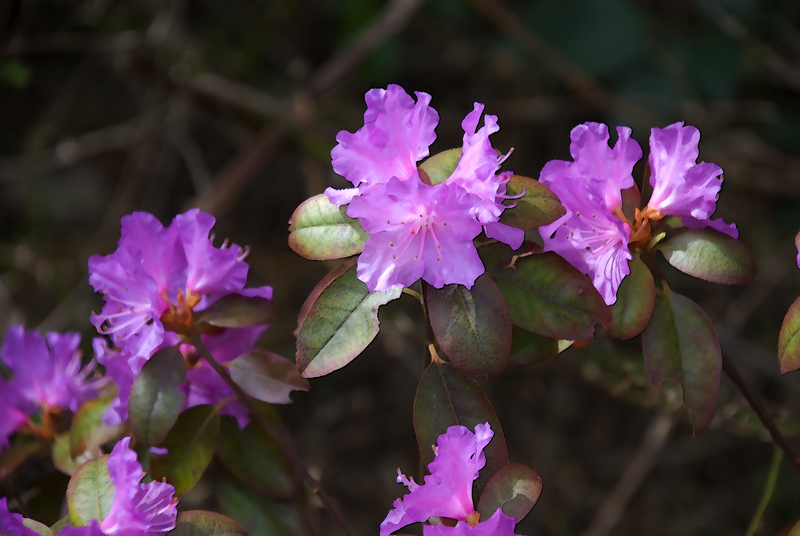 The native rhody is a much more demure plant that makes the forest come alive with its lovely pale pink flowers. Oh how I wish that I could join you seeing them at their higher elevation homes, but these days that ain’t gonna happen.